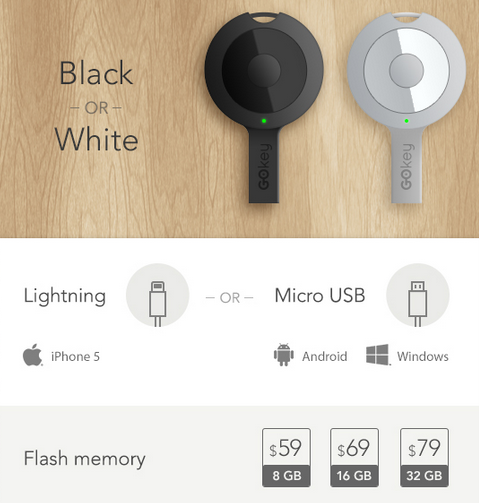 Meet GOkey: an awesome gizmo that boosts your phone battery, tracks your keys, and lets you sync and charge your phone everywhere you go. This Bluetooth device has a built-in cable to charge your phone or sync it to your computer. You get up to 32 GB of storage space to store photos, music, and videos. 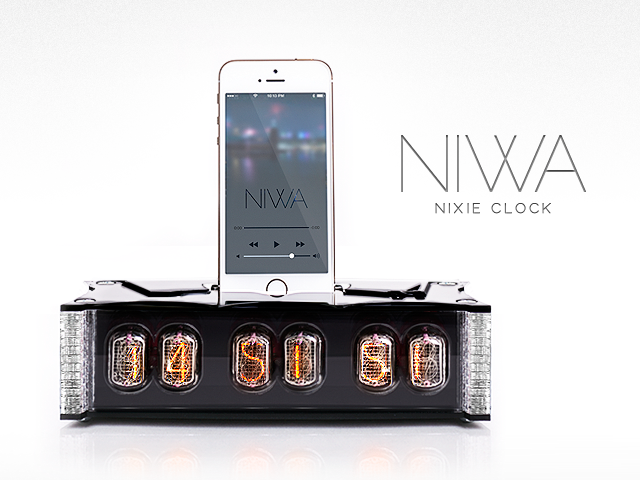 The device also serves as a key or phone tracker, so you can use it to avoid losing your valuable items. GOkey will be available in Lightning and Micro USB versions. Use these cables to sync your iPhone or Android to your computer. The included battery should keep your phone going for an extra 2 hours. You can shake your GOkey to light up its LED and figure out how much battery it has left. 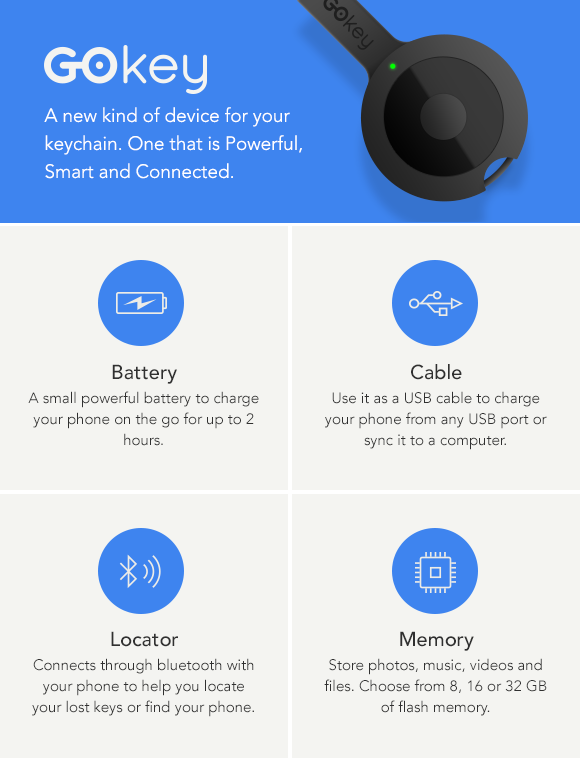 GOkey is available on Indiegogo right now. You can get one for as low as $39, but you have to act fast.